On Thur. 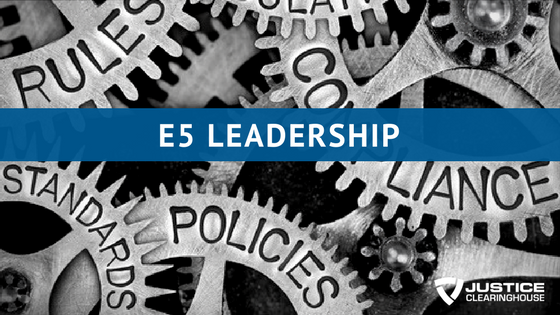 June 21 at 1:00PM EDT, the Justice Clearinghouse is hosting the last webinar in the Police Dynamics leadership series: E5 – The Essentials of Ethical Excellence. Almost all law enforcement standards are behavior or performance-based. Learn the importance of establishing character-based standards within your agency or team. Once the standards have been established, how can they be communicated effectively? The organization’s standards should be reflected in policy, promotions, training, and discipline. How to motivate officers and staff to achieve the highest of standards of ethical decision-making and professional performance. When it comes to leadership, the messenger IS the message. The standards of the organization must be reflected by its leaders. How to deal with ethical and performance failures. 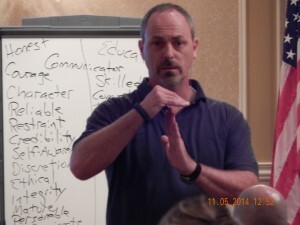 A character-based system of progressive discipline is the final step in achieving ethical excellence. Go to the Justice Clearinghouse website today to register for this free training session. The Peter Principle I am referring to here is not the one you may have read about in leadership literature. The one I am talking about references the Apostle Peter, one of the original twelve disciples of Jesus who lived at Capernaum and was a fisherman on the Sea of Galilee. Chief Barnes has written an excellent book called Born to Be a Warrior. You can learn more at his website: http://borntobeawarrior.org. I came across this video of her speaking at a leadership conference and asked for her permission to post it here. I thought it would make a great finale to our series on Dynamic Leadership. Thanks, Kim. And keep up the good character…! I found this remote beach called Butterfly Beach in Goa, India to film the next installment in the Dynamic Leadership Series. The Dynamic Leadership Equation looks at the integration of qualities necessary to be an effective leader. This equation makes no sense until you recognize that it stands for Organizational Roles multiplied by Team Building Roles equals Dynamic Leadership. Good Advice for an Aspiring Leader… from Barney? That is some of the soundest advice that can be given and, if followed, the young man will do well. Taking the path of least resistance will make a mighty river and a mighty man, both crooked. Here area couple points he may want to consider. 1) It is the love and passion of the leader, for the enterprise and for the followers, that creates a soul and brings organic life into the enterprise. This creates the “esprit” were the unit will move as one…military, law enforcement, sports team, or business. That reminds me of a quote I came across–What better expression of love is there than to create life—and how can life be sustained without love? True leaders, as the ancients taught, are followed without any coercion because the leader has “turned their soul to some noble purpose”. The greatest leader put this all together as he spoke of the sacrificial nature of leadership birthed in love…”Greater love has no man than this, than to lay down one’s life for his friends” (followers). Jesus. Men and women who go into harms way correctly must possess a love for each other and not be driven by hatred for the evil force they oppose. Love is the stronger emotion…love for the unit and love for each other will sustain them in the greatest adversity. 2) Then there is the little talked about subject of followership. Try to find a book on this subject, yet to be a great leader you must first be a great follower. Remember the childhood game—Follow the Leader? Followership is not only a prerequisite to leadership, it is also a continuing role. When you think about it we must be able to fulfill both roles for much of our lives. In law enforcement/military the Sergeant is following the Lieutenant while at the same time leading the corporals. 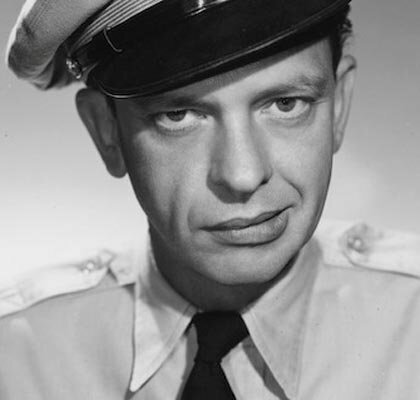 If the lieutenant is a poor follower then this will taint “the sarge” who may inflict this on the corporal. The lieutenant was most likely a poor follower and should have never been given the additional responsibility—they should have been given the opportunity to be a corporal once again. This is why good leadership at the top is so essential—ensuring that good followership is in place throughout the organization. I call this “bi-directional” followership and it is a close relative of bi-directional loyalty.